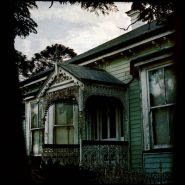 A picturesque and illuminating foray into the history and vision of Queensland’s early domestic architecture as seen through the eyes of 13 contemporary Queensland artists, "The Ipswich House" examines the city’s significant architectural heritage through a selection of commissioned ‘house portraits’ across a diverse range of mediums. These house portraits are more than mere pictorial representations of the city’s heritage-listed buildings, instead offering explorations into the architectural design, construction and fabrication methods while also exposing more than a hint of the personal histories and memories of their former residents. So please drop by the Ipswich Art Gallery if you can to see the results of this most excellent project. The show includes works by Noel McKenna, Jane Burton, Barbara Heath, Michael Zavros, Richard Stringer, Maureen Hansen, Carl Warner, Annie Hogan, Christina Waterson , Madeleine Kelly, Bruce Buchanan, Judy Barrass and myself. There is also a very beautiful catalogue available with some great insights into each artists’ approach.